Original Butter & Salt, Natural Double Cheese, Popcorn Ball, Popcorn Seasoning, Euclid Beach Candy Kisses, Seasonal Candy. Original Butter & Salt, Natural Double Cheese, Popcorn Ball, Popcorn Oil or Spritzer, Popcorn Seasoning, Euclid Beach Candy Kisses, Old Fashioned Candy, Either Chocolate Fudge, Candied Pecans or Seasonal Candies. 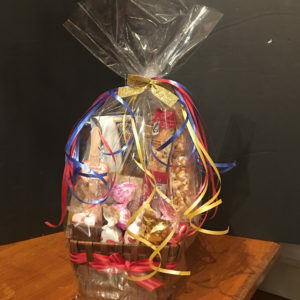 Original Butter & Salt, Kettle Corn, Real Caramel, Popcorn Ball, Popcorn Seasoning, Euclid Beach Candy Kisses, Salt Water Taffy, Old Fashioned Candy, Either Chocolate Fudge, Candied Pecans or Seasonal Candies. 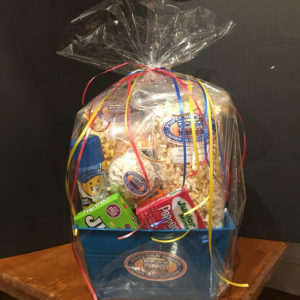 Original Butter & Salt, Natural Double Cheese, Specialty Popcorn Flavor (varies), Popcorn Balls, Popcorn Seasoning, Popcorn Oil, Our Own Un-popped Kernels, Popcorn Butter Spritzer, Euclid Beach Candy Kisses, Salt Water Taffy, Old Fashioned Candy, Either Chocolate Fudge, Candied Pecans or Seasonal Candies. 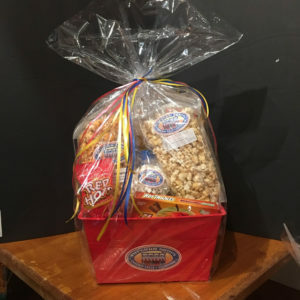 Original Butter & Salt, Natural Double Cheese, Specialty Popcorn Flavor (varies), Real Caramel, Popcorn Balls, Popcorn Seasoning, Popcorn Oil or Butter Spritzer, Our Own Un-popped Kernels, Popcorn Butter Spritzer, Euclid Beach Candy Kisses, Salt Water Taffy, Old Fashioned Candy, Either Chocolate Fudge, Candied Pecans or Seasonal Candies. 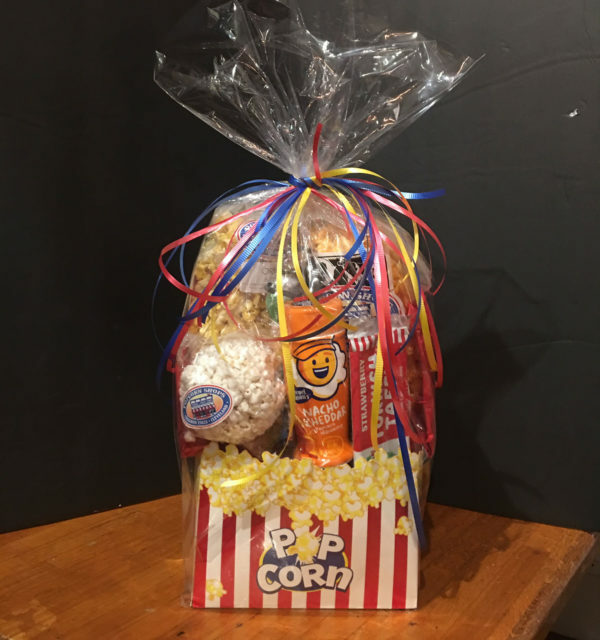 Gift Baskets contain an assortment of Popcorn(s), Popcorn Ball(s), Saltwater Taffy, Candies, Cashews, Chocolate, and seasonings + souvenir mugs and tins depending on the size.